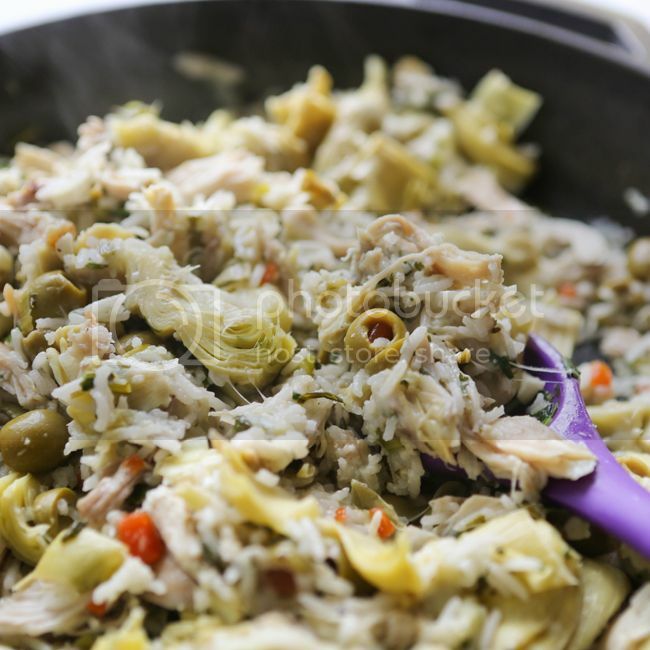 Delicious Artichoke Chicken Rice Skillet Recipe — Pip and Ebby - easy, delicious recipes! This Artichoke Chicken Rice Skillet is the PERFECT, easy weeknight dinner. With the saltiness of green olives and some swiss cheese mixed in, this skillet recipe has all the flavors! It has a great texture and this tasty meal will not disappoint! If you are a frequent reader, you know that I LOVE easy recipes. On most nights, I throw together dinners that are so easy it almost feels like I'm cheating. This delicious Artichoke Chicken Rice Skillet was an off-the-cuff creation that was ridiculously easy, thanks to the Success® Rice that I threw into it. Success Rice is a no-mess, no-measure, boil-in-bag rice that cooks perfectly every time and is ready in only TEN MINUTES. The white and brown rice can sit for up to 30 minutes before being served, making it virtually foolproof. It is available in grocery retailers nationwide with an average price of $2.35 (for White and Brown) or $2.45 (for Jasmine and Basmati), making it accessible and affordable. variety into some of your go-to rice dishes. Learn more about the different varieties here. For recipe ideas, special offers and more, join the Riceape Club®. Visit the Success Rice official website for more information! You can also follow them on their Facebook, Twitter (@Success_Rice), and Pinterest pages. 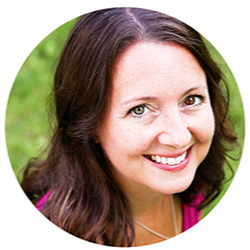 I hope you are still reading! For a chance to win a $100 Visa gift card, leave a comment on this post answering one of the following questions: What is your favorite dish to add rice to? What is your favorite easy side dish? What is your favorite variety of rice and why? SUPER quick and delicious weeknight dinner! Heat olive oil in a large skillet over medium heat. Add green onions, garlic, parsley, salt and pepper. Cook for 3 minutes or until onions/garlic are soft and fragrant. Add the artichoke hearts and cook for an additional 3 minutes, stirring often. 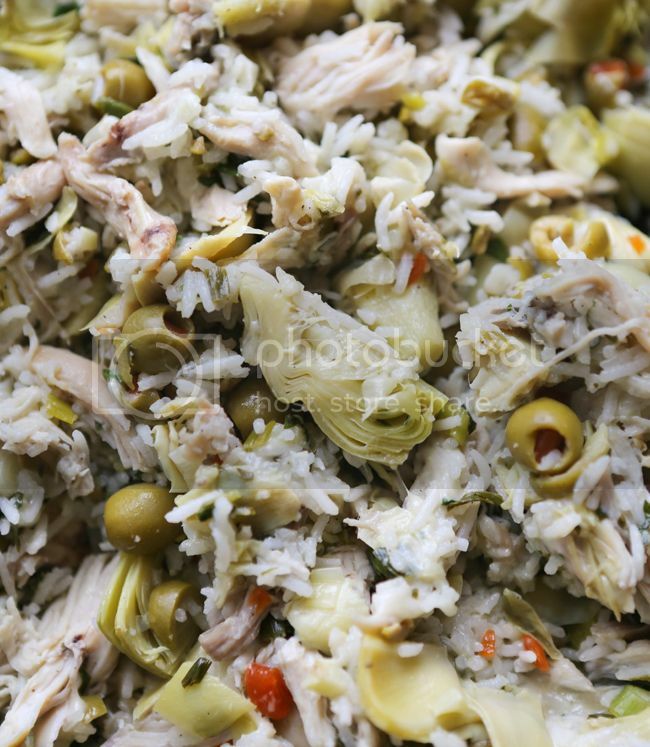 Add chicken, olives, rice and lemon juice. Cook for an additional 5 minutes, or until mixture is completely warmed through. Sprinkle the cheese evenly over the top and remove from heat. Serve warm!